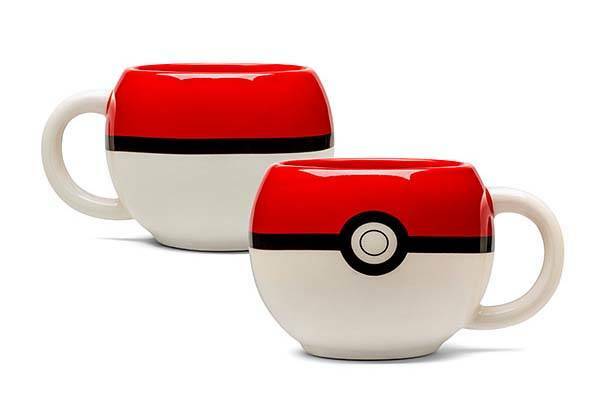 The Pokeball can’t be used to keep your favorite Pokemon in place, but it can hold delicious coffee. Like the idea? Let’s go on for the Pokeball coffee mug. This is an officially licensed and pretty cute coffee mug themed by Pokemon. As we can see from the images, the mug is shaped as a Pokeball used to capture pocket monster in the universe of Pokemon, and it replicates almost all details from its original appearance, but rounded opening allows it to hold your favorite beverage instead of Pokemon. The Pokeball coffee mug is made of ceramic material and it has 8 oz of capacity to hold liquid goods, so after capturing Pokemons around the city, you can use it to drink a cup of coffee or tea along with Pokemon’s style at home. In addition, it’s not dishwasher and microwave safe. The Pokemon Pokeball ceramic mug is priced at $14.99 USD. If you’re interested, jump to ThinkGeek for its more details. BTW, also don’t miss the Pokeball power bank and more related cool stuff by following tags.